Since the advent of Zenith’s first baby monitor in 1937, parents have found it more and more necessary to keep track of their newborn babies. And as the industry continues to evolve, things could not get any easier. Modern baby monitors allow parents to listen and sometimes watch their infants without having to stick around in the nursery all the time. With the help of the device, you can easily keep your little one virtually close to you and track them whenever they need you to. 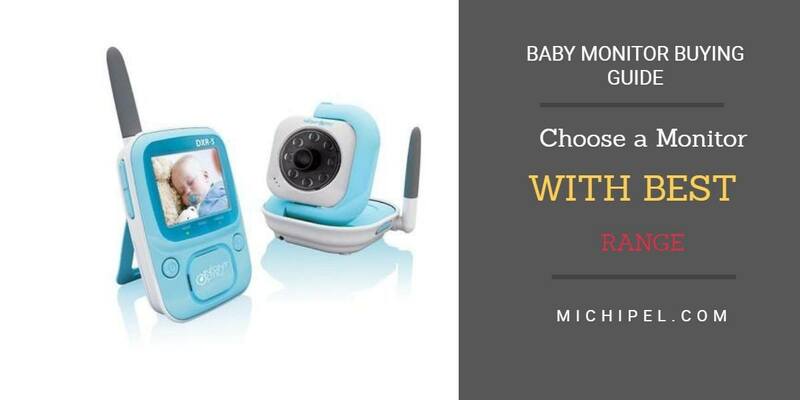 Before you learn how to choose a baby monitor, it is important to ask yourself whether you really a baby monitor or not. If you live in a small apartment, it’s probably not that hard to keep track of what your little one. But if you have your home in a big-storied house, this device should be on top of your bucket list. Being a parent is hard enough when you have to do all the work at home while still keeping an eye on your child. So parents enjoy the convenience that comes with setting up a monitor to check on their little ones without having to move every time. Again, these devices can serve as good nanny cams to watch your caretaker when you’re not at home. With the wide variety of units in the market, each brand and model with its own unique features to offer. Honestly, it’s hard to make a solid decision when choosing the perfect piece for your home. Some people argue that there is a direct correlation between price and quality. But how much a unit cost doesn’t always mean value. This means that there are important features to look for before making a final decision on what to buy. Range is the maximum distance you can move your receiving unit away from the baby unit without losing connection. Clarity refers to how clear the sound coming from the baby’s room is. The device should offer a long distance effective operation range without any significant loss in the sound quality and video clarity. What you often get on the specs list is the open field range, which is the distance covered without any barriers. But unless you plan to leave your child in an open field, this can be a bit misleading and impractical. So how do we decide on the range? Well, test the indoor range of your unit to get a realistic estimate of how far you can leave your toddler in their nursery and still track their activity remotely. Again, looking closer into the clarity, you want something that reproduces as clear sounds and video as possible. It is important to keep in mind that some monitors may pick up “noise” from other frequencies. But a good one should still be able to counteract the signal interference to serve its primary purpose. 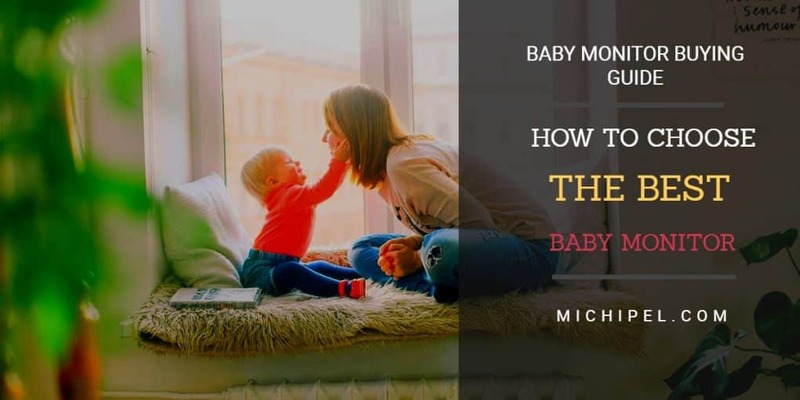 The two-way communication feature not only allows you to listen to your baby while in the other room but also gives you an added functionality to allow you to communicate with your child. You can sooth them, sing lullabies, and if you like bedtime stories, this is a smart way to tell them. The monitor should actively allow you to connect with your child without necessarily being physically present. So what happens when the baby moves, or the screen tilts a little off? Normally, you would have to come home and manually re-adjust the monitor to the right position. But perhaps there is a better way, right? Yes, there is. In fact, some modern units have a remote adjustment feature that allows you to reposition the baby unit in different angles for a better view. Video clarity without lag is something you want to consider. Choose a unit that offers a high resolution on all screen sizes without any glitches in the feed. For maximum functionality, investing in a unit that supports both video and audio feeds would be a good decision. Baby monitors use radio frequencies for communication and may occasionally pick up noise from other nearby devices. A good unit should offer the ability to tune the units to other frequencies to minimize the effects and filter background noise. The last thing you want is to wake up to false alarms every time. A good place to start would be Digital Enhanced Cordless Communication (DECT) monitors which operate in not-so-common frequency while offering some privacy at the same time. While battery life may not be a major factor for many parents, it can make a huge difference especially if you’re using a device with non-rechargeable batteries. You want something that offers reliability throughout the day without having to risk being offline. Monitors using rechargeable, though with lower battery life, may be more convenient to use than those using non-rechargeable batteries. 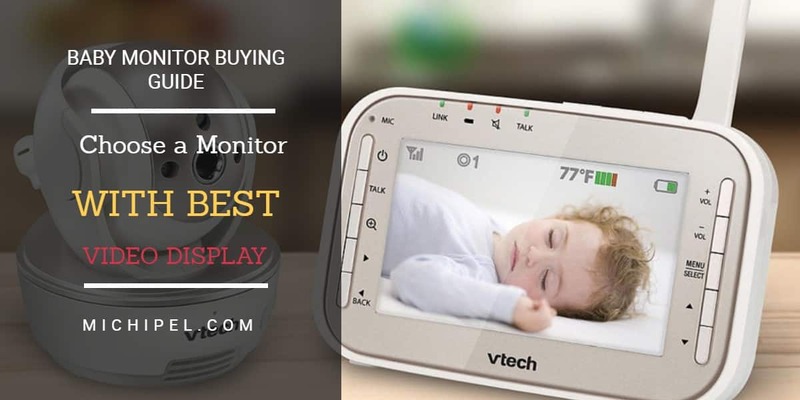 Though a less known fact, audio and video baby monitors are prone to possible hacking and can be used as spy cams to monitor your activities in the house. Most people prefer to use Wi-Fi enabled units for portability and performance range. And while this may be a good technical compromise, you can still win both ways. All you need to do is secure your home wireless network to keep hackers from tapping into the video and/or audio feed. Speaking of portability, a good unit should offer convenience while still allowing you to keep an eye on your loved one. With a portable unit, you can watch, listen, adjust, and configure the baby unit from afar. They are, however, not big and they may not offer the best viewing experience for videos. Non-portable monitors, on the other hand, stand at home, either on a desk or as a wall mounting. They are the best option for parents who spend most of their time at home. During infancy, babies are too delicate to leave unmonitored. A good feature to keep you on your toes is the movement pads. This one sits under the mattress and set off an alarm when there movement in the baby’s room for 20 seconds. While some people believe that this causes a lot of anxiety in parents, it’s always better to be safe than hang on guilt later. After all, the extra attention is well deserved! Connectivity, being one of the most prominent technologies in the world today, allows device synchronization. This, of course, is a great feature for baby monitors. Think about watching your baby on your phone as you normally would a YouTube video, only much cuter. Sounds cool, right? Ultimately, it all comes down to taste. While some parents prefer audio monitors to listen to the baby in the nursery, some prefer to watch the experience in a live video feed. The real task is choosing what works best for you in terms of the functionality while still staying within your budget.